Ideal for pharmaceutical, food and other hygenic environments. Easy to maintain, simply wipe clean. Welded construction in 1.2mm thick stainless steel. Shelves have a load capacity of 80kg UDL. 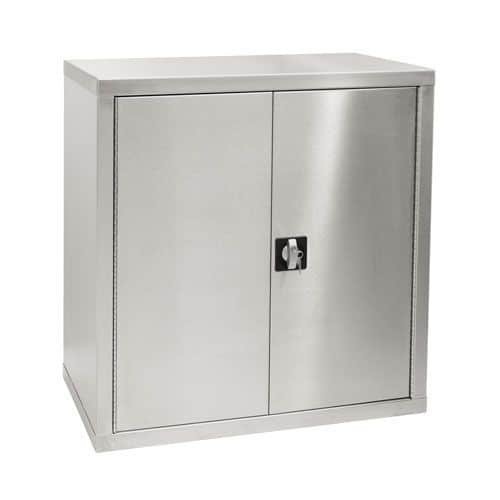 High quality double door stainless steel cabinets with adjustable shelves.